NSS has unloaded its third vessel carrying project cargo into Cairns for the $360 million Mount Emerald Wind Farm. The AAL Nanjing arrived last week carrying 27 nacelles, drivetrains and hubs and 18x40-foot containers. These were safely unloaded over three days. “The nacelles are the heart of the wind turbine,” NSS commercial manager Mitchell Smith said. 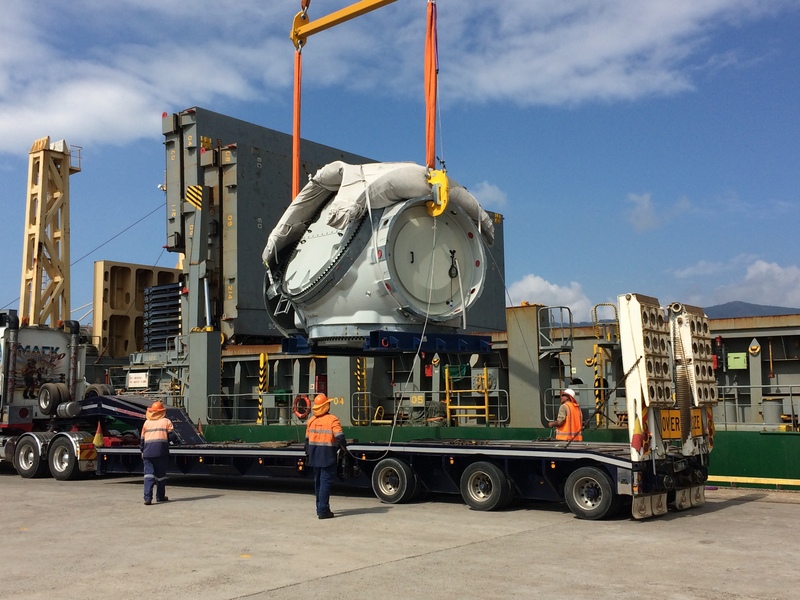 The blades for the Ratch Australia project were unloaded by NSS from September 27-30, with a total of 81 discharged from the BBC Emerald. 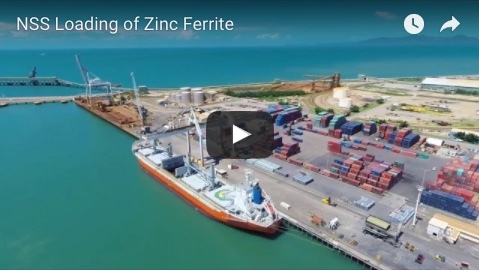 They are now creating some spectacular scenes as they are transported from a laydown area in Cairns to the construction site on the Atherton Tableland. Hundreds of local schoolchildren joined the Malanda Chamber of Commerce and Ratch Australia Corporation on Tuesday to celebrate the first transit of wind turbine components through Malanda to the Mount Emerald Wind Farm site in Walkamin. Mount Emerald Wind Farm community coordinator Kim Forde, who has worked on major energy projects in the Cairns region for more than 20 years, said the street party was “great feedback”. “The Malanda Street Party is unprecedented in my career because it wasn’t our idea, it was an initiative of the local Chamber of Commerce and the people of Malanda who wanted to show their support for a project that is investing millions in the region,” Ms Forde said. 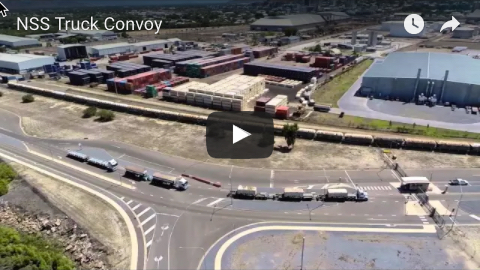 Each delivery of wind farm components will travel from Cairns Port via the Bruce and Palmerston highways towards Millaa Millaa. Trucks will continue via the B-double route through Malanda, past Kairi and along Lawson St, Tolga, on to the Kennedy Highway to Walkamin. Escorted deliveries will continue through to April or May 2018, with each trip taking up to five hours on the 207km route. There will be 53 wind turbines erected all up - each comprising three 57m blades, up to four 30m tower sections and a 12m nacelle. Once fully operational, Mount Emerald will be the biggest wind farm in Queensland.